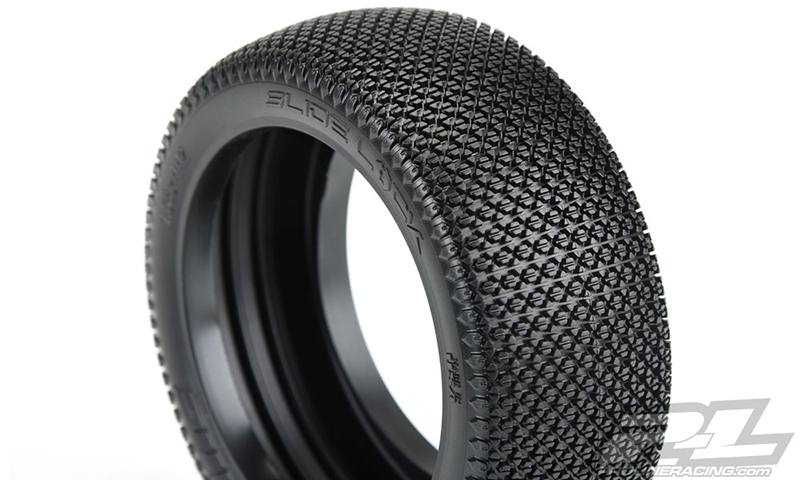 This is a pair of Slide Lock 1:8 Buggy Tires. 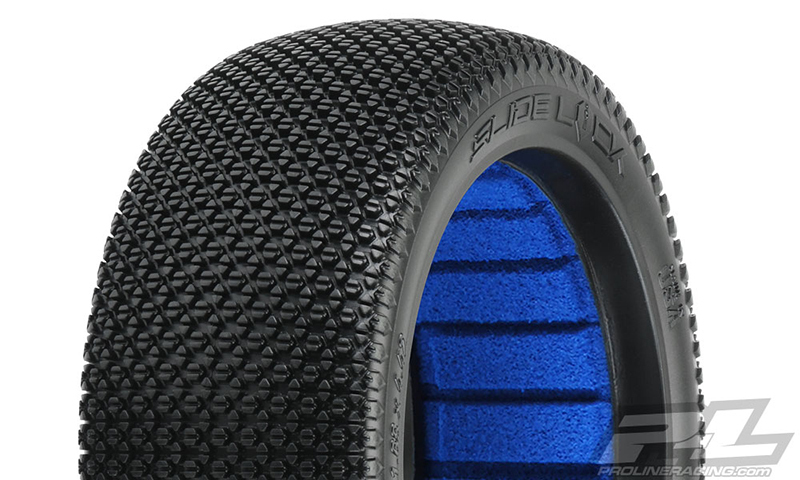 The Slide Lock is a unique new tire design from Pro-Line that is made specifically for smooth, low grip tracks. The Slide Lock features a pattern of small, tightly packed hexagon and triangle shaped pins so you can lay down as much rubber as possible. 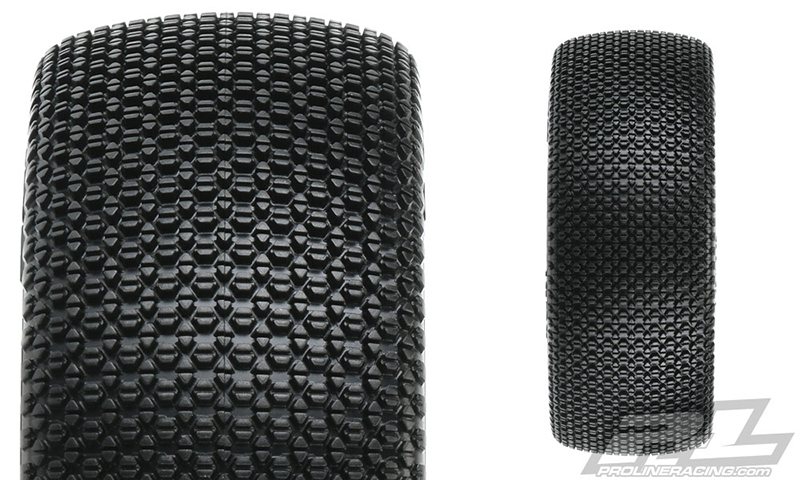 The tread on the new Slide Lock is laid out wider across the tire carcass for a flatter profile overall compared to other Pro-Line 1:8 Race Tires. 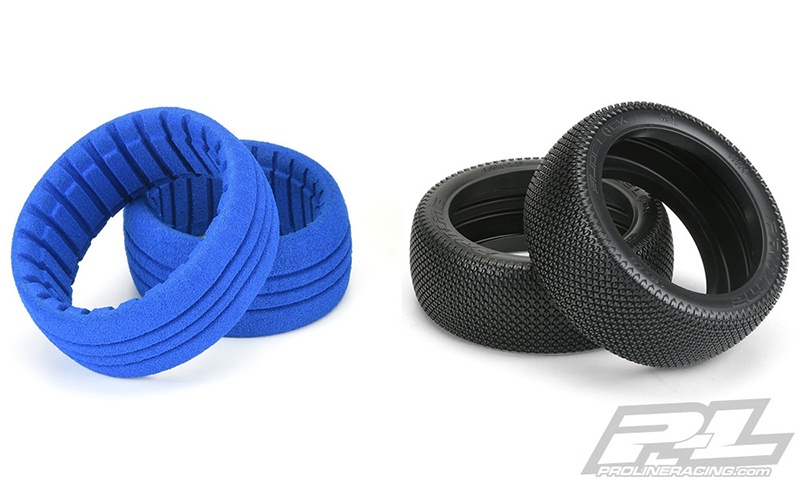 Each hexagon pin has a deep sipe down the middle of the tread for added flex and grip on even the slickest of surfaces. The built-in tread flex means you can run harder compounds for longer wear and still have good traction when you need it. The large and stiff side pins reach far down the sidewall to reduce edginess as much as possible. Be the first at your track to win with Pro-Line’s new Slide Lock tire. Get yours today!